Electronic Cigarettes on the Catwalk? Njoy is one of the largest and most well-established electronic cigarette brands in the country, featured in 80,000 retail locations nationwide. Like Blu, one of their biggest competitors, both companies are spending millions of dollars on advertising – from TV ads, to national radio spots to highly publicized sponsored events. Last year Njoy embarked on a campaign to sponsor fashion shows (like Fashion Week in New York) and it appears that the trend is continuing in 2014. 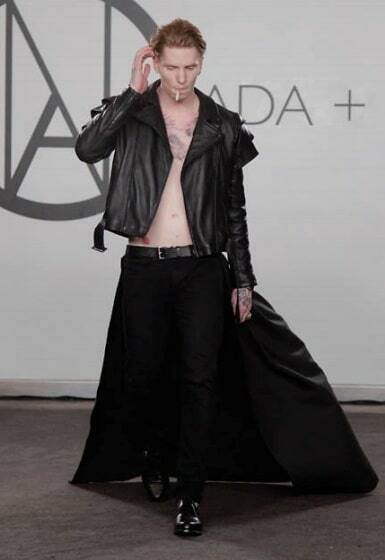 The latest event at the Ada + Nik AW14 Show in London featured the goth-style “Dark Wolf” collection, with a black leather-clad model toking an e-cig on stage. Do you think this is appropriate? And more importantly, does it negatively portray vapers? 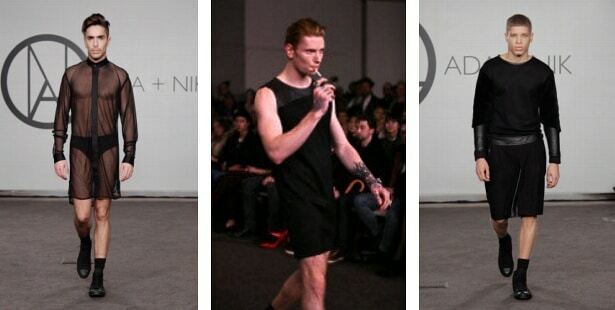 Many fashion sites are claiming history was made at the Ada + Nik AW14 show when a male model pulled out an Njoy e-cigarette and started vaping on the catwalk. E-cigs are nothing new to the fashion world and I personally don’t find this controversial, my bigger concern (or maybe I’m just more annoyed) is the goth-style fashions and dark imagery being associated with vaping. A Little Too Edgy For the Masses??? Normally, I’d say any publicity is good publicity, but after taking a look at a few of the pictures from the show, I wonder if Njoy is taking the “edgy” and “stylish” theme a little too far. What kind of message does this send non-vapers – especially those who already have a negative opinion about vaping and the vaping community? To me, this imagery says SOCIAL OUTCAST. In my opinion, it does not represent “cool” or “stylish” or “trendy.” The black leather and gothic theme is reminiscent of Marylin Manson – or Columbine. How does this support our cause or help to sway public opinion in a positive way? Of course, these campaigns do expose vaping to a larger audience, and people undoubtedly have their own opinions about style and what is (or isn’t) fashionable, but I’m not so sure Njoy’s campaign to sponsor fashion shows is representative of the vaping community at large. Images from these events (featuring attractive and trendy models in outrageous outfits) are supposed to imply that vaping is cool, but to me it says that electronic cigarettes are a trend and it’s likely to fade. It also implies that vaping is only for the most fashionable “hipsters” and not the Average Joe. Is This The Typical Vaper??? Most vapers are average, everyday people who could care less about how they look and whether or not e-cigarettes are cool. The real appeal for most of us is the ability to stop smoking! Vaping fulfills the cravings when we’re trying to quit, and it helps us stay away from cigarettes for good. And it’s not just about getting a nicotine fix – many vapers eventually switch ZERO NICOTINE products. Sure… replacing the nicotine is definitely important at first, but there are psychological and social aspects to smoking that can be satisfied by taking a deep drag off of an e-cig and vaping among friends.